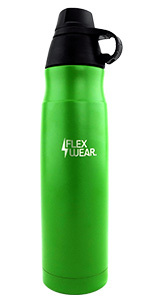 Flexwear | The best water bottles you will ever use. 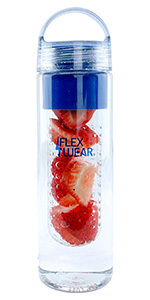 – Now NEW Fruit Infuser bottles! 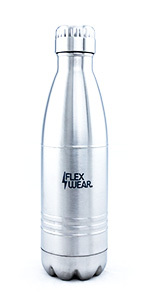 Sleek cola bottle design, both compact and convenient. 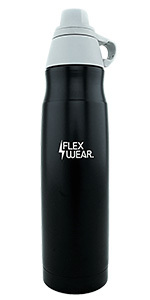 10.1″ in height, 2.8″ in diameter, and only 11 ounces in weight, with a 17 ounce (or 500 ml) capacity. Fits comfortably in the cup holder of your car, the water bottle holder of your bike, the pouch on your backpack, or wherever you want it to go! 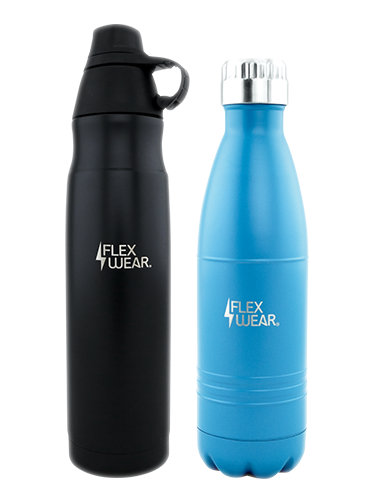 Double walled stainless steel construction with vacuum-sealed cap providing long lasting insulation for both hot and cold drinks. Hot drinks stay hot for 12 hours, cold drinks stay cold for 24 hours. 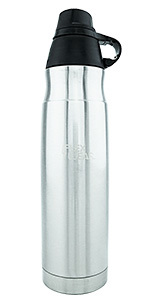 Crafted from 18-8 food grade stainless steel and, unlike plastic water bottles, contains absolutely no hazardous BPAs whatsoever. 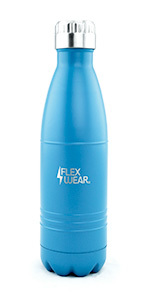 Each of our water bottles is built to last a lifetime and is covered by the Flexwear Lifetime Guarantee. 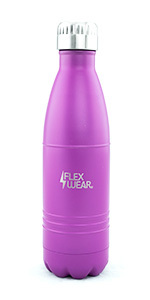 Easy-to-use water bottle with a unique infusion compartment that allows for exciting and delicious new flavor combinations. 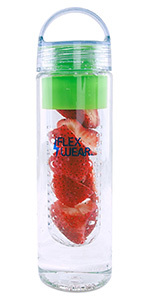 Add your favorite fruits to the removable storage compartment, place inside the water bottle, and let the natural flavors infuse with the water. 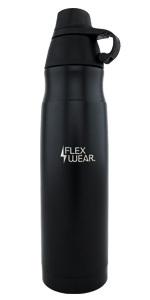 750 ml/24 oz high capacity water bottle, compact enough for most water bottle holders or on-the-go use; Made from shatterproof, impact resistant Tritan plastic, 100% BPA free. Includes a FREE recipe booklet with our favorite recipes and flavor combinations! 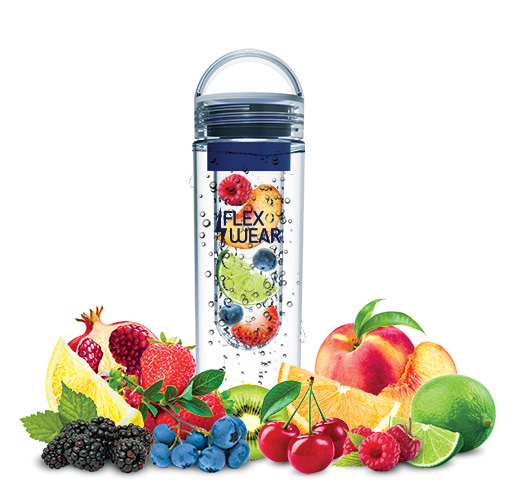 Have any issues with your Flexwear Stainless Steel Bottles or Fruit Infusion Water Bottle and we will repair or replace it at no charge to the customer. Now if you dent it, you’ve just made it uniquely yours. We stand behind the Quality of our product and work hard to keep you happy. Feel free to email us, smoke signal us, carrier pigeon us, or … actually just use that form over there.